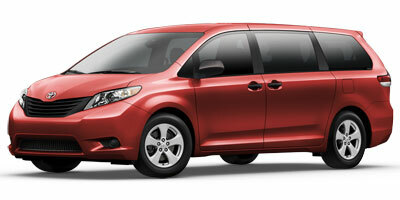 Find the latest 2012 Toyota Sienna recalls as issued by the National Highway Traffic Safety Administration (NHTSA) and Manufacturers. Consequence IF THIS CONDITION OCCURS, ANTILOCK BRAKING AND STABILITY CONTROL MAY BE LOST, INCREASING THE RISK OF A CRASH. DRIVERS SHOULD RECEIVE DASHBOARD WARNING LIGHTS WARNING THEM OF A MALFUNCTION. Consequence INCORRECT INFORMATION ON THE VEHICLE PLACARD MAY LEAD TO TIRE OVERLOADING AND POSSIBLY CAUSE TIRE FAILURE INCREASING THE RISK OF A CRASH. Remedy GULF STATES TOYOTA WILL NOTIFY OWNERS, AND DEALERS WILL REPLACE THE REMOTE ENGINE STARTER WITH A NEW ONE FREE OF CHARGE. THE SAFETY RECALL IS EXPECTED TO BEGIN IN EARLY APRIL 2012. OWNERS MAY CONTACT TOYOTA AT 1-800-444-1074. Remedy TOYOTA WILL MAIL OUT A CORRECTED PLACARD TO CUSTOMERS ALONG WITH REVISED OWNER MANUAL INFORMATION. THIS SERVICE WILL BE PERFORMED FREE OF CHARGE. THE MANUFACTURER HAS NOT YET PROVIDED A REMEDY PLAN OR AN OWNER NOTIFICATION SCHEDULE. OWNERS MAY CONTACT TOYOTA AT 1-800-331-4331. Summary GULF STATES TOYOTA IS RECALLING CERTAIN MODEL YEAR 2012 4RUNNER AND SIENNA VEHICLES, EQUIPPED WITH NON-ORIGINAL EQUIPMENT REMOTE ENGINE STARTERS. A MALFUNCTION IN THE AUDIOVOX ELECTRONICS BRAND REMOTE ENGINE STARTER MODULE CAN PREVENT NORMAL COMMUNICATION OF THE VEHICLE?S CONTROLLER AREA NETWORK (CAN). Summary TOYOTA IS RECALLING CERTAIN MODEL YEAR 2011 THROUGH 2012 SIENNA VEHICLES FOR FAILING TO COMPLY WITH THE REQUIREMENTS OF FEDERAL MOTOR VEHICLE SAFETY STANDARD NUMBER 110, "TIRE SELECTIONS AND RIMS." THESE VEHICLES DO NOT MEET THE REQUIREMENT FOR DISPLAYING THE CORRECT VEHICLE CAPACITY WEIGHT AS THE RATED LOAD FOR THE COMBINATION OF CARGO AND OCCUPANTS.